WHY IS SONY SELLING VIRGIN & FAMOUS MUSIC CATALOGS? “We are happy with the tremendous growth and financial performance of Sony/ATV. We are not sellers. We are completely focused on growing it” had said Rob Weisenthal, CFO of Sony in 2009. So why is Sony selling its three Virgin (Virgin UK, Virgin Europe, Virgin US) and Famous UK music catalogs? "I am very angry at Eminem's depiction of me in his video. It is outrageous and disrespectful.” In May 2007, Sony/ATV Music Publishing bought Famous Music from Viacom for $370 million. Virgin Records is a British record label founded in 1972. It was sold to EMI in 1992. In November 2011, EMI sold its music division to Universal Music Group and its music publishing division to Sony/ATV. 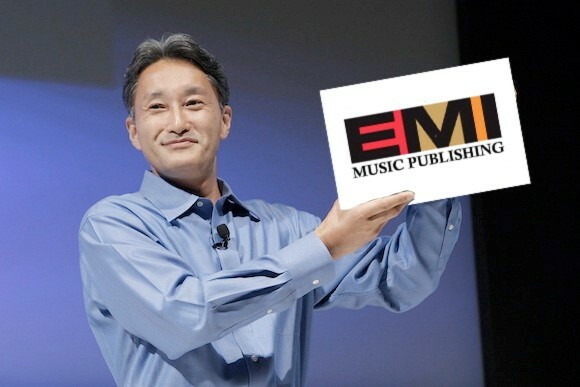 Sony acquired EMI publishing amidst very dire financial situation. In March 31, 2012, Sony reported a $5.7 billion loss which is a record high in the company’s 66 year history. 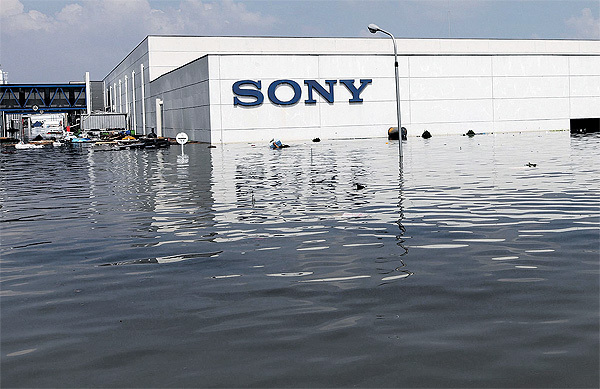 Sony blamed the March 2011 Tsunami in Japan and October 2011 floods in Thailand for its losses. Thailand is where Sony produces much of its goods. Sony cut 10,000 jobs and avowed to turn things around in the upcoming year. In 2005, EMI Music Publishing and Warner Music Group were the leaders in music publishing, holding 17% and 16% of the global shares respectively. They were followed by BMG at 13%, Universal at 12% and Sony/ATV at 7%. In 2007, Sony rival and the world’s largest music company Universal bought BMG becoming the world’s largest music publishing company also. EMI Music Publishing was the second largest music publisher. When Citigroup put up EMI for sale, despite of its financial straits, Sony immediately eyed EMI's publishing unit. With this acquisition, Sony would dwarf its rival Universal in music publishing Industry. Having repossessed EMI from Terra Firma in February 2011, Citigroup put EMI up for sale and set an October 5 deadline for final offers. A Sony-led consortium won the bidding with $320 million upfront towards its $2.2 billion purchase. Sony announced its EMI Publishing acquisition in November 2011. Other investors in the Sony-led group include the Estate of Michael Jackson, Mubadala Development Co., Jynwel Capital, the Blackstone Group and David Geffen. music catalogs may seem conflicting with their mission to be a Music Publishing Goliath, it is not; the sale was expected & it's part of Sony’s EMI Publishing acquisition. to ensure fair competition. Warner Music Group and various independent groups such as Impala protested both EMI sales - Universal's EMI Music and Sony's EMI Publishing - expressing concerns that if approved, Sony & Universal would dwarf their rivals. European Commission cleared Sony's EMI Publishing deal in April 2012 with the condition that Sony must divest the publishing rights to its three Virgin Music Publishing catalogs and Famous UK Catalog. The Federal Trade Commission cleared the deal in June 2012. Sony/ATV administered the publishing rights to 750,000 songs. After the EMI Publishing acquisition, Sony gained 2 million copyrights. Martin Bandier is a man with great passion for Music Catalogs. In 1985, he was one of the bidders for the ATV Catalog (Beatles Catalog). He lost it Michael Jackson, thanks to John Branca's negotiating skills. 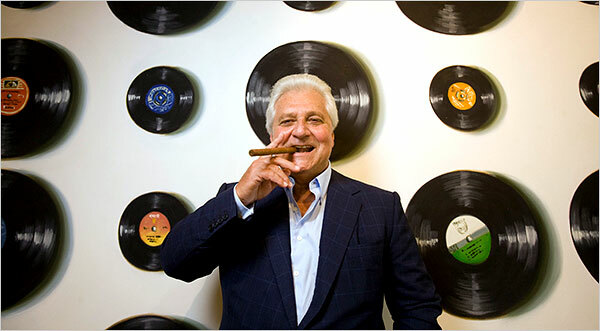 Before joining Sony in April 2007, Martin Bandier spent 17 years building EMI into a publishing powerhouse as its then CEO. In late 2005, Mr. Bandier asked EMI to sell him its publishing unit. The company declined and Mr. Bandier resigned in October 2006. Six months later, he took over as the CEO of Sony/ATV. True to his reputation as a big spender Martin Bandier completed a number of fearless acquisitions which resulted in % 60 increase in Sony/ATV revenues. When Bandier took office, Sony/ATV ranked as the 5th in music publishing. Today, it is NUMBER 1. Music Publishing plays an immense role in Sony’s business portfolio. While Sony has suffered major setbacks in its other units, music publishing has been its crown jewel, bringing in about $500 million annual revenue. Beside substantial royalty income, ownership of copyrights ensures that the songs can be used in any Sony production without having to pay licensing fees. Sony is, one of the few media companies that house publishing, recording, film and video gaming under one roof. Of Sony’s EMI Publishing acquisition, Martin Bandier said “I am excited to be reunited with the incredible company I helped build. This transaction is both transformative for Sony/ATV and a truly special moment for me personally”. Sony will continue to aggressively amass its music publishing empire. Holy Grail Music Catalogs for Sony? Michael Jackson's Mijac and his %50 share in Sony/ATV Music Publishing.